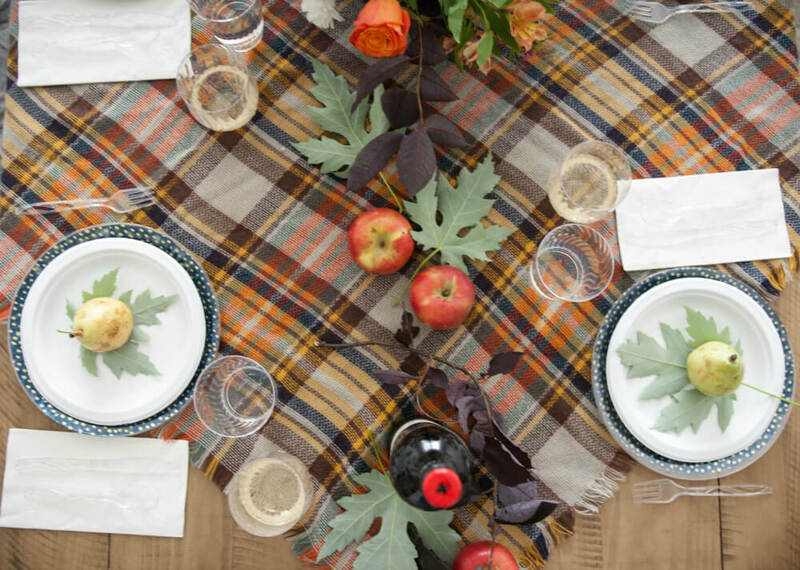 Check out my simple fall tablescape that will help you host your next party without the stress! Also, there’s a great tutorial for a DIY plate charger. Fall has officially kicked-off and I am loving this cooler weather! It’s also a great season for hanging out with friends and family…whether it’s indoors staying cozy or huddled around a firepit. This post is brought to you by the Chinet® brand but all opinions are mine! 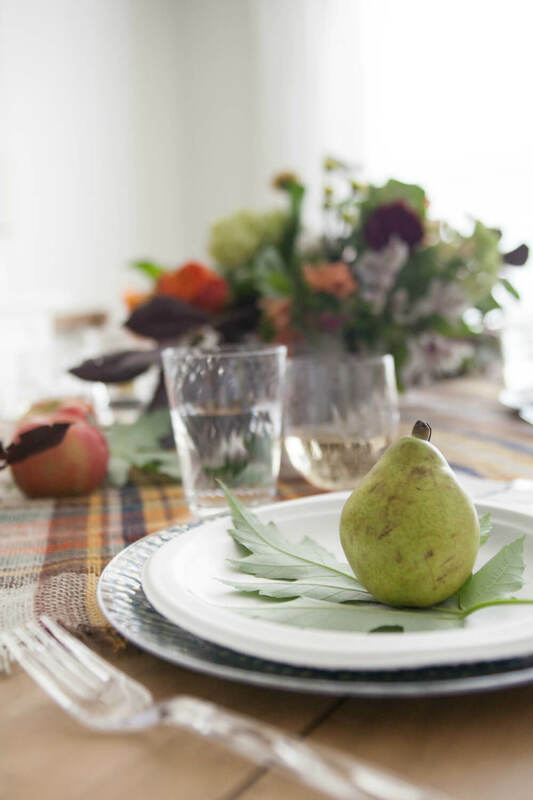 I recently teamed up with the Chinet® brand over on their its blog to share an easy and time-saving fall tablescape. 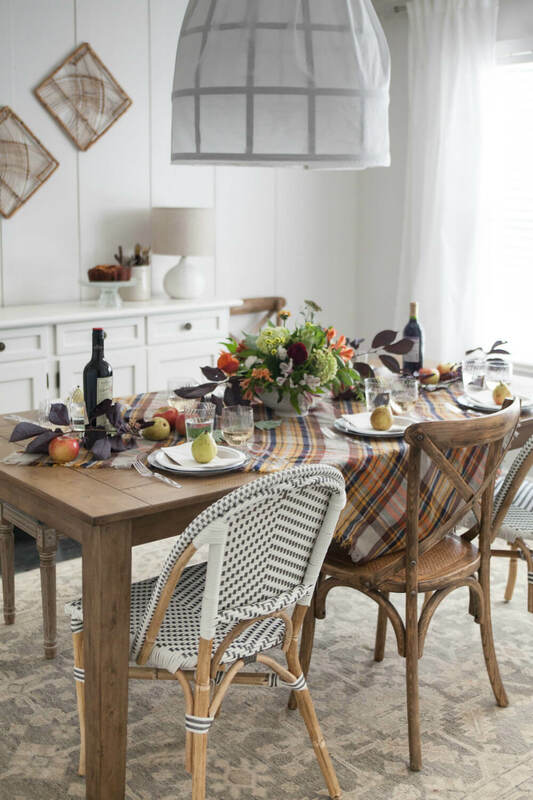 These simple ideas (and fun DIY plate charger) make having people over for a meal a breeze. There’s no reason you can’t host and enjoy it too! I’ll show you how to use disposable tableware, like the Chinet® Classic White™ product lines, to create a beautiful table… without the headache of cleanup! I’ve also included a quick tutorial in the post for making a fun and personalized plate charger that will bring a little extra color and pattern. Make sure you head over to the Chinet® brand blog to get all the tips!